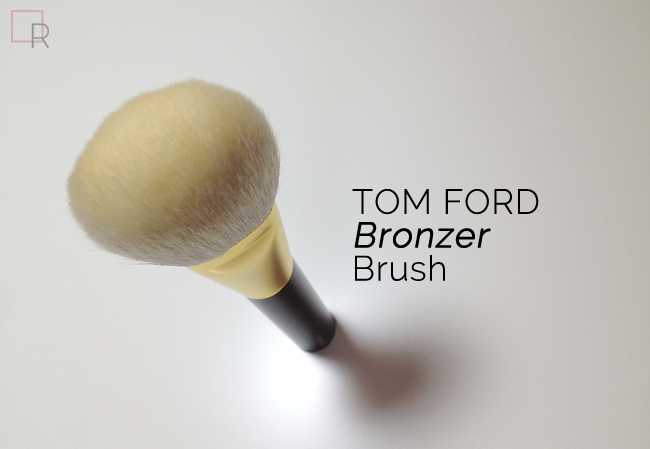 Tom Ford's Bronzer Brush is one of my must-have beauty tools. The pristine white brush head is extra large, with softly-rounded wide edges that produce a flattened dome shape that is rare in the world of bronzer brushes. It has a thicker handle that helps balance the weight of the brush when placed in the hand. 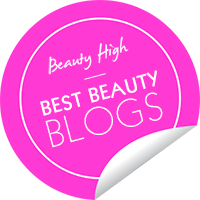 Bronzer addicts and brushaholics rave about this brush for its sophisticated look and luxurious feel, but the quality is what makes this 05 Bronzer Brush a star. See more details and photos after the jump! 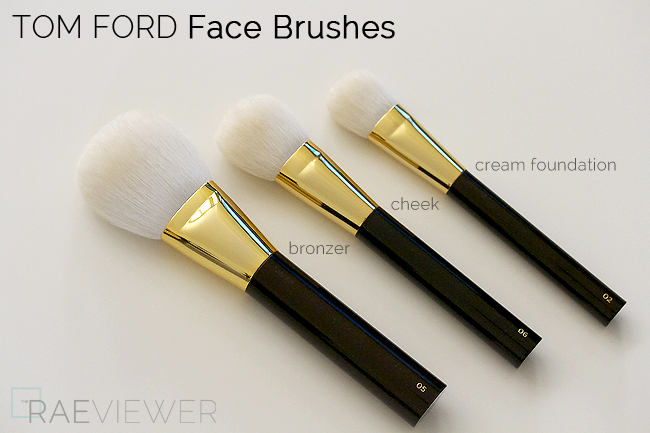 Tom Ford's brushes are made in Japan and have specially placed -- not cut -- natural brush hairs to provide that lush, heavenly feel against the skin. This also allows for more evenly distributed product application. The Tom Ford Bronzer brush's wide and full construction allows for less time in front of the mirror blending out bronzing powder. This brush is one of the largest brushes in my collection and is significantly larger than any of Tom Ford's face brushes. 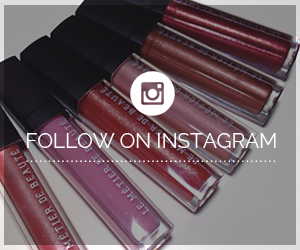 FYI: It may be too large to fit in the pan of small bronzing powders. This Bronzer brush is an investment, but considering the Japanese craftsmanship as well as the number and length of brush hairs in comparison to his smaller face brushes, the $115 USD price is actually justifiable. The brush responds well to the BeautyBlender liquid cleanser, and it has yet to shed a single hair. Given a choice between the 05 Bronzer or 06 Cheek brushes, I would select the bronzer brush since I do not reach for blush nearly as often as I wear bronzer. I recommend splurging on whichever brush suits your makeup preferences. 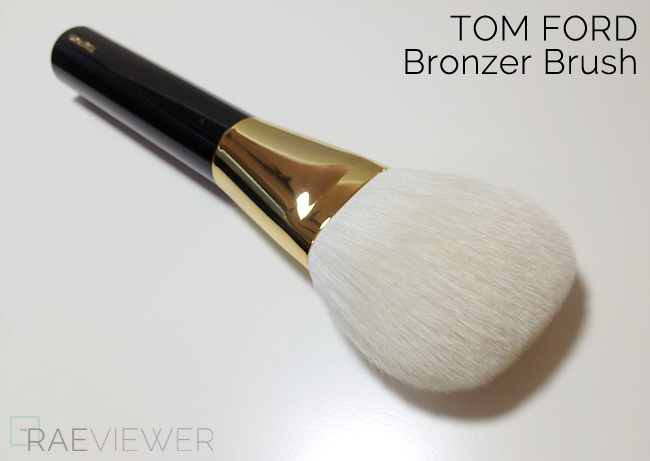 The Tom Ford Bronzer brush was designed to apply powder bronzer, but many use it to apply setting powders as well. I personally dedicate to just bronzer since I love the sculpted look that the tapered ends of the bristles easily achieves. The goat hairs have been set down in meticulous layers starting from the middle of the brush, so the brush head lays naturally against the planes of the face. I have encountered and collected many bronzer brushes over the years, from kabukis to duo fibers, but none with this particular shape. It is nearly a square, which is more noticeable when featured next to the Dior fan-shaped brush photographed above. And while this Tom Ford Bronzer Bush may be feather soft at the tips, the density of the brush head is what allows this brush to perform so flawlessly. I have chosen two brushes from my collection that I feel are the most comparative in quality and application to share alongside the Tom Ford 05 Bronzer Brush. The Bobbi Brown bronzer brush, which has a perfectly rounded, full dome-shaped head, is best for a soft veil of warmth. 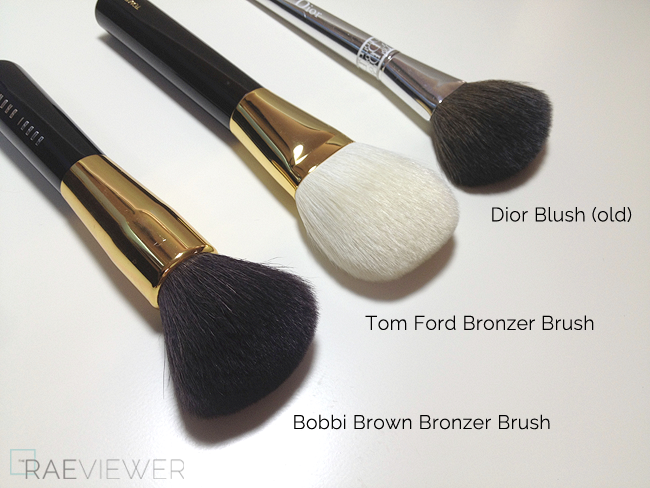 The brush hairs are not nearly as soft at the Tom Ford's, but it does apply color smoothly across the face. At $52 USD, Bobbi Brown's brush is fabulous tool. Those looking for more targeted color application, however, will find that Tom Ford's Bronzer brush is the better investment. I prefer to use the Bobbi Brown bronzer brush to apply powder when setting my liquid foundations, since it provides more even and slightly sheerer coverage than when using a sponge. The old Dior Blush brush has a fan-shaped head that is suitable for precise bronzer and blush application. 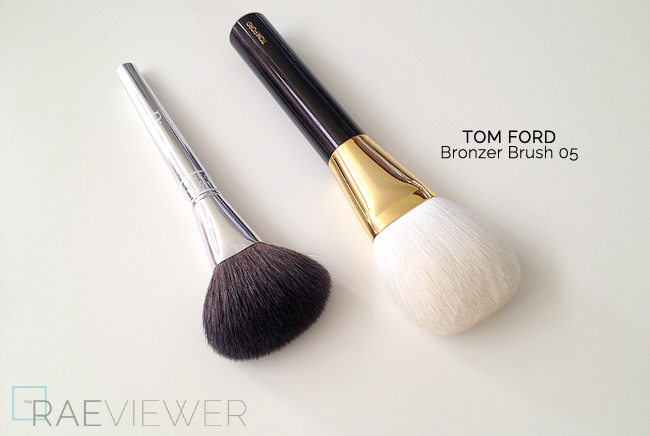 Though it may look entirely different, the finished effect is similar to that of the Tom Ford Bronzer brush's. It is unfortunate this Dior brush has been discontinued. Both brushes have tapered ends to help to create a sculpted look, though the Tom Ford Bronzer brush is superior at layering on color without overdoing it. I love that Tom Ford's Bronzer brush does not require additional blending after application, which can be attributed to the layers of bristles at every angle. It is simply perfection. *The updated, redesigned Dior blush brush is more traditional in shape with a narrower brush head, about half the size of the fan-shaped brush pictured above. Bottom Line: If I could only save one brush from my collection in the event of a natural disaster, it would be this Tom Ford 05 Bronzer Brush! 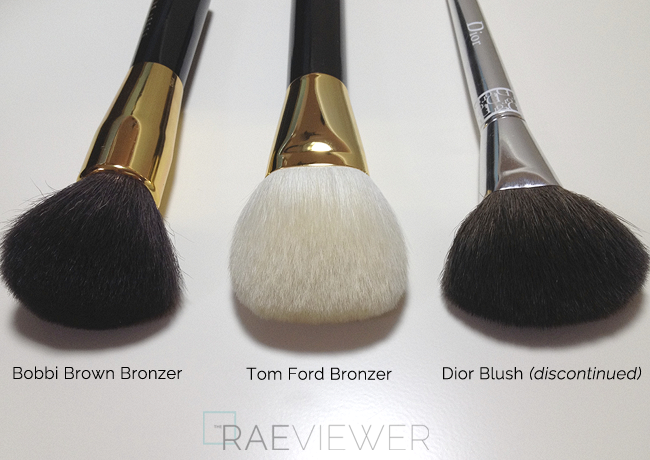 The Tom Ford bronzer brush looks stunning. Who has the best price or is the price controlled? i want this brush but it is way more than I'm willing to spend on a brush - I don't think I've ever spent more than $50, and I'm scared to go there, haha!